Do you like seeing behind the scenes? The end result is often enjoyable; the fully decorated cake, the perfect wedding…an amazing horse in the show pen. But the story of how it all came about is often far more interesting. 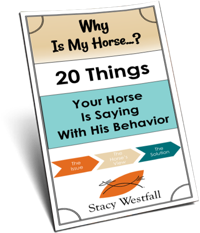 This year I’ve decided to invite you in for a behind-the-scenes look at preparing and taking two horses to the Western Dressage World Show in October 2019. In this video first video, I will introduce you to Willow and Gabby, tell you a bit about them and then tell you the plan. It is April right now and although I’m welcoming you behind the scenes…I can’t tell you exactly how the story will go. That’s the fun part. All the twists and turns that happen along the way to a big goal. If you would like to hear more about S.M.A.R.T. goals, check out my podcast episode on the subject, Setting S.M.A.R.T. goals with your horse in 2019. Though I am somewhat behind in reading your posts, I love reading and watching the videos, and I have saved them all. Thank you so much for taking the time to post and educate. I loved the Jack series and can’t wait to view this one, as well! Thank you for allowing us the privilege to watch your journey, I’m really beyond excited. You are very inspiring and thank you for sharing you journey. Can’t wait. I am looking forward to following your journey! This is wonderful, and great timing. 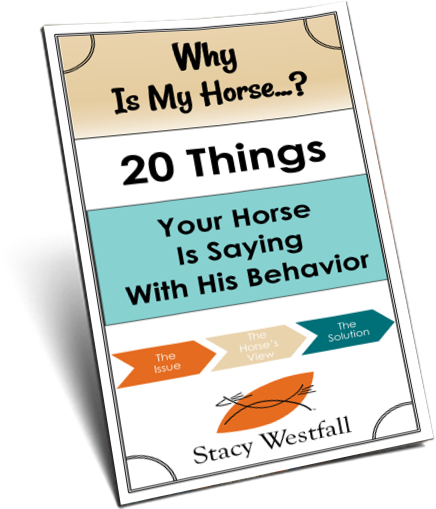 I was just reflecting on the reactive nature of my horse and if it could be trained away. Its great to see the contrast between Willow and Gaby. I think my horse might be more of a Gaby. Your pure love of the horse inspires me. Thank you. This is exciting! I always enjoy learning from you and love watching your progress. Well you know I will be following. Can’t wait to see the progress. Boy I can relate to the “I’m tired” comment! I wish I was closer and could take lessons with you and Jesse. I need confidence on the trail and that confidence will relate to everything else. I also hope to go to a few shows this summer and a few trail rides.